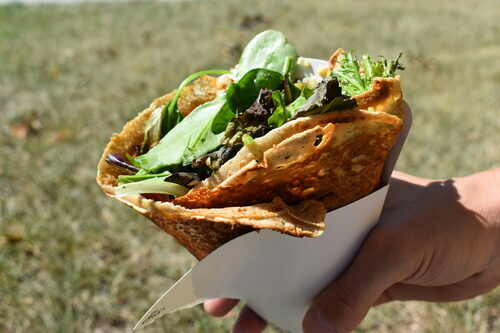 While I was at Taste of Mequon, I had the pleasure of meeting Peter Schalk, the sole owner of The Blue Cow Creperie food truck. 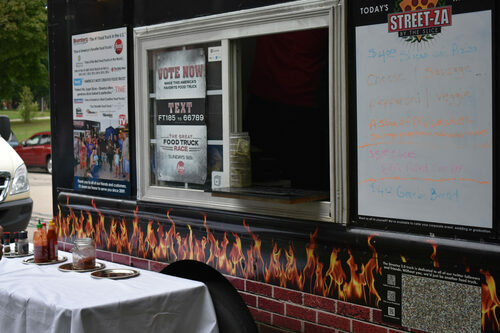 Peter serves up both sweet and savory crepes and has a large following – people who follow the truck and make an appearance at whatever event the truck is stationed at. 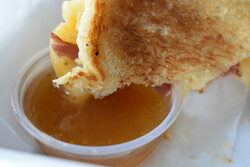 On Saturday, September 9th, I went to was Taste of Mequon. 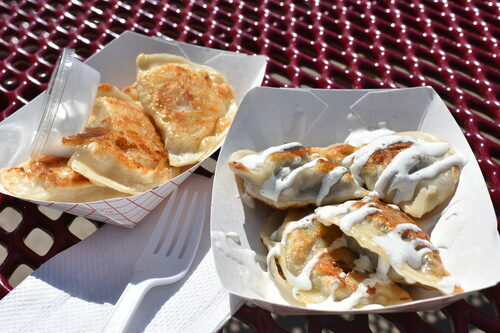 Various vendors, restaurants and food trucks gathered outside of Mequon’s City Hall to show off their creations and serve up good food. 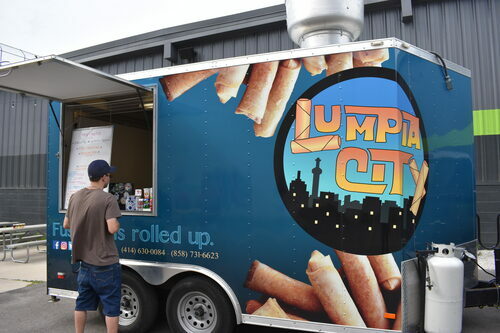 On Saturday, August 26th, I went to the Lumpia City food truck, stationed that day in the parking lot of Third Space Brewing. 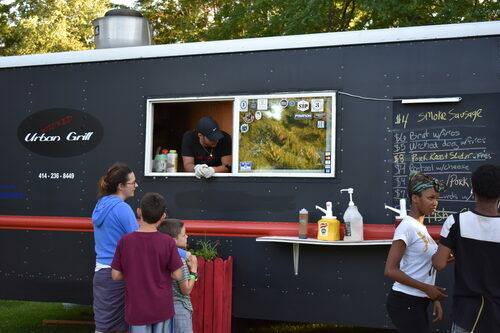 I went to the Wicked Urban Grill food truck last week at Lake Park to review their fish fry. I was shocked to see that the fish and chips on the hand written chalkboard was crossed out. 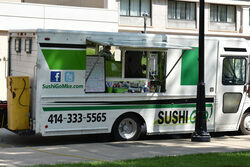 I asked Geoffrey Cooper, one of the chefs of this three man food truck, what that was about. This is an outstanding review for some outstanding people. I'm proud to call Kim and Eric my friends! It was just the Title, you are correct; I do see, however, how it could have been confusing or misleading. For that reason, I have changed the Title.